The daughter of an 81-year-old man who lost his wallet at the Ploughing Championships is pleading with anyone who may have found it to return it. 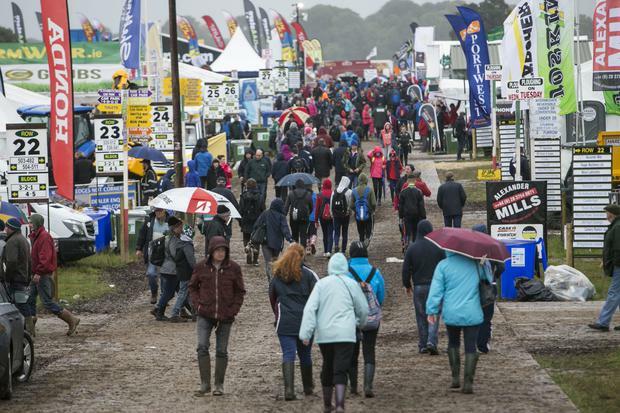 John Howlin and his daughter Joanne attended the second day of the Ploughing on Tuesday, but their day out was ruined when the Wexford man discovered his wallet was gone. It contained €500, his drivers licence, his medical and PPS cards and a number of other valuable belongings. Mr Howlin is also a diabetic and Joanne said he is "very upset" over the incident. She is holding out hope that there are still "some good people in the world". "This is one more knock he doesn't need," she told RTÉ Radio One's Liveline. "He drove all the way up from south Wexford. He asked me to go because I’m guessing he didn’t want to go on his own. Unfortunately like many people his age, he still keeps cash on him. I need to believe there is some honesty out there, especially in the rural community, and that somebody wouldn't have pickpocketed him, and that he just lost it." Joanne said her dad had his wallet stolen in Amsterdam two years ago and explained how even if the money is gone, they would still appreciate the cards being returned. "My dad is an extremely proud man. 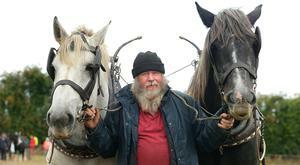 For me, he kind of represents everything that the farming community is about. I'm not naive enough to think it's still there, but I'm holding out some hope."